This book is about helping managers and decision makers to choose and use the most appropriate problem solving approaches available for managing the complexity and diversity of the difficulties that they face. By describing and analysing a range of different approaches, it investigates the strengths and weaknesses of each and provides its own approach for the complementary and integrated use of different system methodologies. 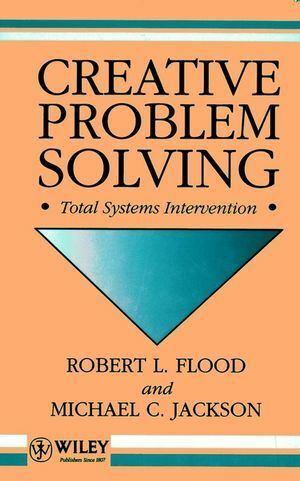 About the authors Robert L. Flood, born 1955, is Professor of Management Sciences at the University of Hull, UK. He worked for 8 years in management with Paramount Pictures, National Opinion Polls and the Berkshire Area Health Authority, and actively pursues his management interests through consultancy, mainly in commercial organisations. He has authored 4 books, edited 2 others, is founding editor of the journal Systems Practice and has published in many other learned journals. Professor Flood holds a PhD in Systems Science and is also a Chartered Engineer. Michael C. Jackson, born 1951, is Professor of Management Systems at the University of Hull, UK. Prior to entering academic life he worked for 4 years in the civil service. He enjoys diverse consultancy interests with a particular focus on community projects and non-profit-making organisations. He has authored 2 books, edited 6 others, is deputy editor of the journal Systems Practice and has published in many other learned journals and contributed to several books. Professor Jackson holds a Masters degree in Systems and is currently Chair of the UK Systems Society. The Nature of Systems Thinking. A System of Systems Methodologies. The Logic and Process of Total Systems Intervention (TSI). Strategic Assumption Surfacing and Testing (SAST). Total Systems Intervention (TSI) Revisited.